Tell me a little bit about The Last Show You'll Ever See. It is a show about the end of the world. It features a woman and her trombone as they face the possibility of impending apocalypse. Through fast-paced humor, offbeat text, virtuosic pantomime, and musical interludes, our intrepid heroine grapples with the endless possibilities of ending, before it’s too late. I wanted to make a solo clown show with my trombone as a stage partner, and chose the theme of the end of the world because it's something I think about a lot, because the end of the world seems constantly possible in a simultaneously fascinating and terrifying way, and because I often find horrible things to have the most potential to be hilarious. My first clown workshop was with Avner the Eccentric and Julie Goell at the Celebration Barn Theatre in Maine. Then I went to the Dell'Arte International School of Physical Theatre, where Ronlin Foreman taught us clown. I went back a year later for Ronlin's Advanced Clown workshop. 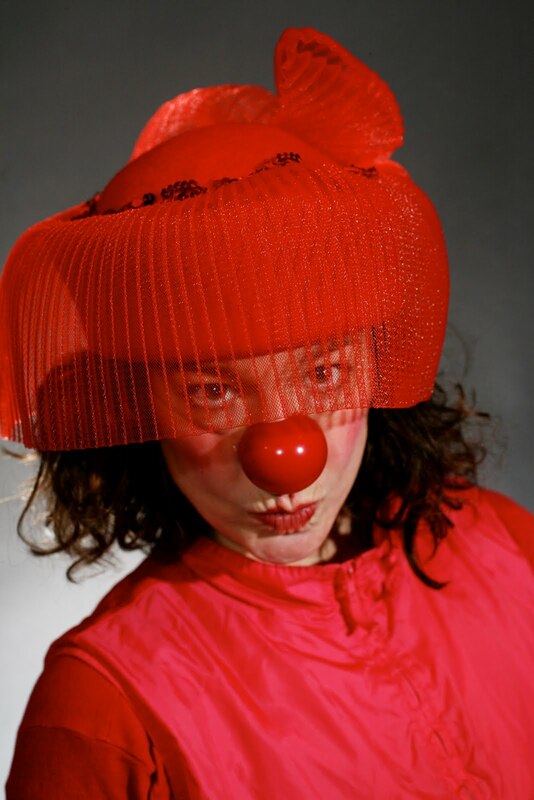 After that I moved to Portland, OR, where I've been creating and performing clown and mask shows with the Nomadic Theatre Co. My clown skills have also developed a lot through my work with Clowns Without Borders, with which I've been involved since 2005. For the past three autumns I have been studying clown and movement theatre with Giovanni Fusetti. He coached me through the initial creation of this show in October, 2008. I'm not the scary kind. For reals. I don't even wear clown make-up. In this show, I don't wear a red nose. Funny, thought-provoking, not scary. After the festival, I am flying to Florence, Italy, for an assistantship for the first year of Giovanni Fusetti's new movement theatre school, Helikos.